The one-day Sharing Hope in Crisis (SHIC) seminar is intended for anyone and everyone in the church. All of us know a friend, neighbor, or co-worker who is struggling with a life crisis, and this seminar was developed to help you know what to say and what not to say when people grieve and to compassionately and appropriately share the love and hope of Jesus Christ. This training is also great for counselors, first responders, and church leaders who face suffering people on a more regular basis. Find out more. No Sharing Hope in Crisis live trainings are scheduled at this time. See how to schedule a training in your area. The Chaplain Training conference that was previously held each year in June at The Cove is now a combined Rapid Response Team/Samaritan’s Purse training conference. In 2019, it will be held in Orlando, Florida on April 25-28. To register, please click below. Each RRT Chaplain is required to take the SHIC and two of the CISM courses from the list provided. They also are stated in the Chaplain Application Packet. If you are interested in hosting a seminar, please call the Rapid Response Team at (800) 335–1337 9am-4:30pm EST M-F or email rrt@bgea.org. We encourage churches or organizations to see this as a regional event and invite others to attend. Get prepared to provide emotional and spiritual care to your neighbors, co-workers, and friends during the everyday tragedies of life. 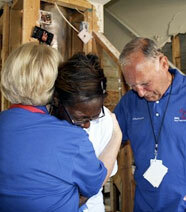 Learn how to share God’s love and comfort with those suffering. As an individual or group you’ll be equipped with practical skills such as understanding trauma, being a good listener, and knowing what—or what not—to say to someone who is grieving. This course qualifies as a training requirement to become a RRT Chaplain Volunteer. Students – when life falls apart for your friends, will you be ready to offer hope? 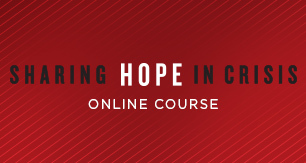 Take the Sharing Hope in Crisis online course for students and find practical ways to comfort hurting people with God’s love. This course does not qualify as a training requirement to become a RRT Chaplain Volunteer. The one-day Sharing Hope in Crisis (SHIC) live seminar is intended for anyone and everyone in the church to help prepare them for appropriate ministry in times of crisis. We also encourage Christian counselors, First Responders, and Church leaders who face suffering people on a more regular basis to attend the seminar. If you are interested in hosting a live seminar, read the FAQ, hosting guidelines and equipment requirements, then fill out a request form. You can attend the Chaplains Conference in June, but you can also get trained in various locations around the country as well. The Sharing Hope in Crisis seminar, as well as 2 CISM courses are offered in 12-15 cities each year. 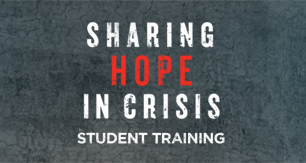 Online training for Sharing Hope in Crisis is available online. Yes, due to the growth of the RRT ministry and the need for ongoing education, we are asking all of our current chaplains to make sure that they have taken the Sharing Hope in Crisis course as well as two CISM courses listed above. 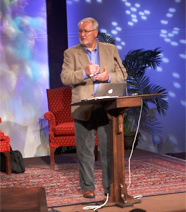 Sharing Hope in Crisis is now available online at http://billygrahamonlinetraining.org/sharing-hope-in-crisis/. Please call the RRT office at (800) 335-1337 9am-4:30pm EST M-F and lets us know. We are very interested in making sure that you can get the training if you are working towards being a RRT Chaplain.